Camel, a small, woman-owned, HUBZone-certified business, is both a large-scale manufacturer and an innovative leader in the design of soft shelters and related military products for US Department of Defense customers. Camel’s product line includes tent frame / pole support systems, insulated tent liners, light systems, map boards, power distribution boxes and solar protection systems. 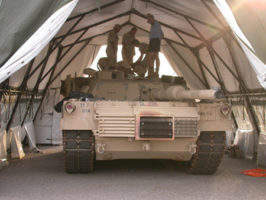 The Lightweight Maintenance Enclosure (LME) is a frame-supported lightweight shelter designed to provide military units with a covered facility to conduct maintenance of tactical vehicles and equipment. The end walls have been modified with sliding fabric doors permitting total enclosure during conditions of extreme weather or blackout. The US Army and US Marine Corps have adopted the LME as their standard maintenance shelter. The Modular General Purpose Tent System (MGPTS) serves as a billeting, command and control, unit supply and field services shelter. The modular design consists of one type end and intermediate sections, one type end pole and one type internal arch. The system is 18ft wide and can be extended indefinitely by adding 18ft intermediate sections. The Camel Extreme Weather Liner is fabricated from 3M Thinsulate FR-SH 250 gram insulation. The insulated liners are designed to assist field heaters and air conditioners at maintaining specific temperature ranges inside military shelters during operational use, reducing fuel consumption by an estimated 30%-40%. Added benefits include the liners’ ability to reduce the logistical footprint of FOB camps and to boost shelters’ flame resistance factor. 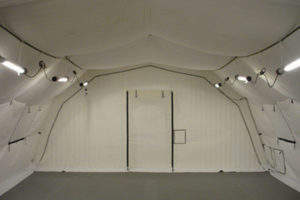 Camel provides insulated liner kits for a variety of military specification and COTS shelter systems. We can manufacture liner kits to your engineering drawings, or reverse engineer parts supplied to fit your shelter. The Solar Shade System is designed to provide solar protection for food stocks, supplies, munitions, vehicles and equipment. 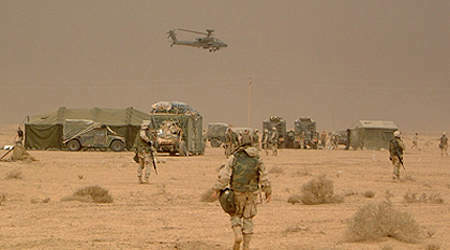 In addition, the structure is used to provide field commanders and troops conducting temperature sensitive operations protection from severe solar exposure in hot climates. The cover is constructed from lightweight, open weave material designed to reduce solar effects by at least 60%. The Solar Shade System is available in two types, both designed to interconnect with other shades of the same type to shelter larger areas. The Camel MGPTS and LME have successfully completed military durability, snow and wind loads performed by the US Army Aberdeen test center. The Extreme Weather Liner has been tested and evaluated through US Army Net Zero Plus and US Army Greenland Arctic Outpost. Visit our website or use the form below to send us your inquiry. Federal government customers can purchase Camel products and accessories through GSA Advantage. For a full list of Camel products available through GSA, visit their website and search contract #GS-03F-0120X. Camel Manufacturing Company ("Camel") has collaborated with 3M, through an exclusive supply agreement, to develop a flame-resistant, intense weather fitted, insulated fabric to line the interior walls of military shelters. To maintain ambient temperatures within field facilities when deployed in extreme climates, a significant amount of heating or cooling must be produced, which uses a significant amount of energy. The Extreme Weather Liner system was designed to reduce this demand and improve ground force troop comfort in extreme weather conditions. This enhanced insulation design offers an R-value of 4.56 which provides an estimated 30 - 40+% reduction in fuel consumption for heating and cooling. The Solar Shade System is designed to provide general purpose solar protection for food stocks, supplies, munitions, vehicles and equipment. The LME is a frame supported lightweight shelter designed to provide units with a covered facility to conduct tactical maintenance operations.